UPDATE: USDA Food Safety and Inspection Service Chooses 3M for E. coli, Salmonella and Listeria Testing. Read the announcement. IAFP 2018 is almost here. Food Safety professionals know that in our world, there’s always a new development. Are you caught up on the latest research, thought leaders, technology, and testing methods? It’s a lot, we know. That’s why there’s the IAFP Annual Meeting – where professional experts and scientists gather and network to share advanced solutions to issues and challenges that are new and those that we continue to fight. More than 3,600 of the “top industry, academic and governmental food safety professionals from six continents” will be there. the solutions you need to rapidly and accurately assess the presence of Salmonella and Campylobacter (as well as other pathogens including Listeria spp., Listeria monocytogenes, Cronobacter, and E. coli O157). This is available for you to download. Read more here. Salmonella in Poultry: Where Do We Go from Here? Topics will include implications of recent risk assessments and main challenges in the next 5 years. The Conundrum of Campylobacter Source Attribution. This roundtable discussion comprised of international experts in epidemiology and policy will provide the ever-evolving work and knowledge around this topic. Discussion will include appropriately targeting interventions to reduce illness risk, and evaluation the effectiveness of current and proposed policies. Many members in the food supply arena are not exposed to the jargon used to describe results or the underlying science. The intent of these presentations is to bridge the gap between those who are well steeped in omics and bioinformatics to those who need to know these terms in order to proceed with their own work. Featured speaker: Martin Wiedmann, DVM, PhD. Dr. Wiedmann is a Gellert Family Professor in Food Safety at Cornell University, Director of Graduate Studies for the Field of Food Science and Technology, and 2015 Recipient of the Harold Macy Food Science and Technology Award. For additional information and added topics, visit our Environmental Monitoring page. This year at IAFP, 3M Food Safety is proudly sponsoring several events, talks and poster presentations. Come visit us at Booth #1021 throughout the show to learn more, and be sure to check out our 3M Food Safety Tech Talks! These short talks will feature 3M technical experts and will highlight a variety of technology platforms and how they can be used to build a comprehensive environmental monitoring program. 3M™ Petrifilm™ Plates: Launched in February 2018, the new 3M™ Petrifilm™ Rapid E.coli/Coliform Count Plate, a two-in-one indicator test, gives customers both an E. coli and total coliform count in 18-24 hours, enabling food processors to release their products from inventory faster. 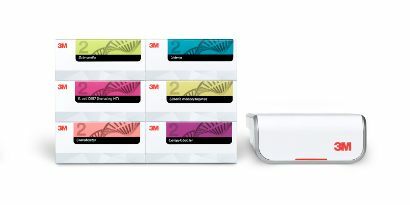 3M™ Allergen Testing: 3M is excited to now offer one of the most comprehensive portfolios of allergen testing solutions. 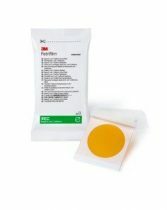 3M™ Allergen Test Kits are designed to detect both processed and unprocessed allergen proteins in a variety of sample types including environmental swabs, rinse water and food products. 3M™ Molecular Detection System: With the launch of its two newest pathogen detection products, 3M™ Molecular Detection Assay 2 – Campylobacter and 3M™ Campylobacter Enrichment Broth. In combination with 3M™ Molecular Detection Assay 2 – Salmonella, 3M now offers a full portfolio solution of poultry testing products for simultaneous monitoring of both pathogens.